Major General Phillips: You're looking good, Dutch. Dutch: It's been a long time, General. Major General Phillips: Come on inside. Q: Which members of the group did the Predator make into trophies? 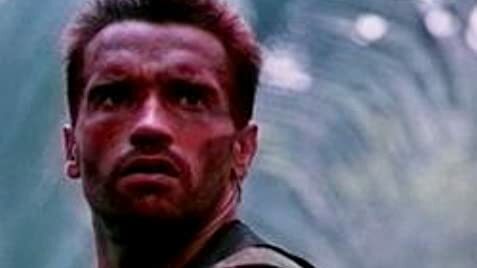 Q: Did the Predator make trophies out of Hopper's Green Berets? Q: What were the roles of each member of Dutch's team? A team of commandos are sent into a central American jungle to extradite US airmen that are being held by terrorists. During the rescue attempt the airmen and the terrorists are killed and the commandos being to return to their pickup location. However as they travel back across the jungle they are picked off one by one by an unseen assassin. With his teams' numbers dwindling, Dutch decides to take a stand. This ranks as one of Schwarzenegger's best films, mainly because he doesn't ham up the one-liners etc and just plays it straight. The story is pretty straight forward. Once the issue of the airmen rescue is forgotten it is a straight hunt or be hunted affair. 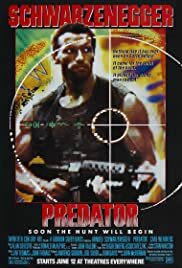 The film manages to create a great sense of tension by not revealing the predator until near the end, this means we, like the commandos, are not quite sure what's doing the hunting. If the tension was so good then this could have been a slasher style film with each character being bumped off in a series of gory ways. However McTiernan makes sure that it never feels that basic. The action is good throughout. But the film benefits from a strong male cast - not great actors but they all fit the parts well. Schwarzenegger isn't wearing his star power on his sleeve like he does in other films and is good here. The rest of the cast are filled out by what could be kindly described as B list stars (except maybe Bill Duke), but Carl Weathers and ex-wrestler Jesse Ventura do well. Overall this is a B movie creature feature, but it's carried out with such style and aplomb that it's hugely enjoyable throughout. 102 of 141 people found this review helpful. Was this review helpful to you?